A mafioso famed for having one of the more involved marriages in the underworld, Phil "Rusty" Rastelli was the boss of the Bonanno family in the early 1970s, then stepped down when the violent Carmine Galante was released from federal prison. After Galante was murdered—police have often linked Rastelli with the 1979 assassination—he resumed the top spot. After his return to power there were steady reports of rumbles against his rule, but then there have been rumbles in the Bonanno family ever since Joe Bonanno was forced into retirement in the late 1960s. Rastelli probably found Mafia activities tame compared to his married life. His wife Connie was gunned down in 1962 after she'd informed federal agents that Rastelli was a drug trafficker. Before that, federal law enforcement sources have indicated, Connie had been a big help in her husband's activities, very unusual for a Mafia wife. She was described as driving getaway cars during heists, keeping books for her husband on gambling operations and even running abortion mill rackets set up by Rastelli. Rastelli was not always entranced with his wife. Once, on the lam in Canada, he took up with a young woman. On finding out, Connie shot right up to Canada and proceeded to clobber her young rival senseless. She also informed Rastelli that if he fooled around any more she'd kill him. Rastelli apparently operated under the assumption that no wife would really mess with a "made" mafioso and continued his straying ways after he got back to New York. Connie promptly cornered him on a Brooklyn street and emptied a gun at him, hitting him twice, but not wounding him seriously. After that, Rastelli thought it best if he didn't go back to his wife at all, but Connie was not the sort to be neglected. She warned him she'd talk to the law about his activities. As far as the mob was concerned, Mrs. Rastelli had overstepped her bounds. She was visited by Big John Ormento, a sinister crime leader, and warned to stop making such threats. But Connie's threats weren't idle. She went to the feds and started talking—at the very time the government was investigating Ormento and several other important mafiosi about narcotics activities. 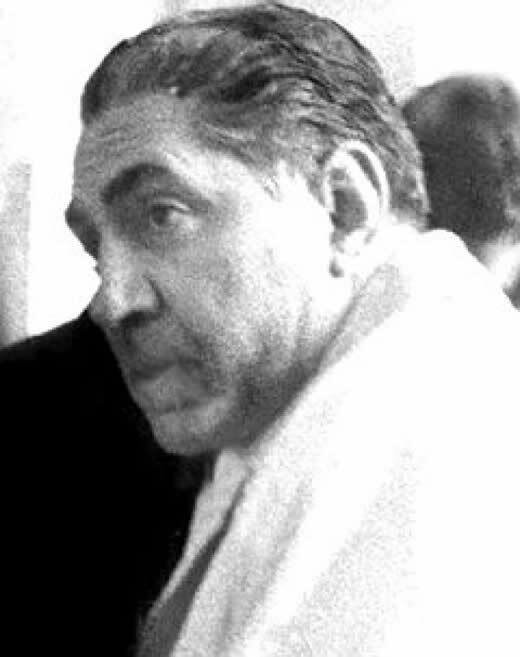 Connie was able to supply the government with information that the mob was planning to kill the key witness against them. The federal agents doubted her claim until she supplied them with the address in New Jersey where the government had the witness under wraps. The witness was shifted to another secret location and eventually the government won its case against Ormento and a number of other big shots. However, before a case could be built against Rastelli, Mrs. Rastelli was blown away by a mob gunman. From 1976 Rastelli was in and out of prison on an extortion charge and then for parole violation for meeting with other mobsters. In the mid-1980s he was under numerous federal indictments. After the mob rubout of Gambino boss Paul Castellano in December 1985, there was considerable speculation that Young Turks in the Bonanno family would seek to take out Rastelli because all the charges were making Rastelli ineffective as a leader or, more important, might be inspiring him to start talking. Immediately after the Castellano shooting, U.S. marshals put Rastelli "under protection" at a secret hideaway. To the aging don it might well have seemed like Connie Rastelli all over again. Late in 1986 Rastelli was convicted of taking part in a massive labor racketeering conspiracy. The charges were made under the federal Racketeer Influenced and Corrupt Organizations (RICO) Act. Under a 12-year sentence he died of liver cancer at 73.